Fill out our quick credit application and get approved for a new or pre-owned vehicle today. View our current monthly offers for new Porsche models. Get the best Porsche has to offer with added benefits to our available pre-owned vehicles. Porsche South Bay is the leading Los Angeles dealer in the area. Browse the beautiful new Los Angeles Porsche vehicles in our inventory. Whether it’s the Cayman, the Cayenne, the 911, a Panamera or a Boxster, you’ll fall in love with one of them – or maybe more. Do we have used Porsche cars? We’re one of the largest used Porsche dealers in Los Angeles; always have an incredible selection of high-quality pre-owned Porsche vehicles in stock. Need the best Porsche service in Los Angeles? Our Porsche technicians are experienced and trained to help you solve all of your Porsche service needs. Start browsing today! 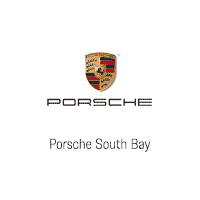 Porsche South Bay makes it easy to buy the new or used Porsche of your dreams! Good selection of new cars ,They have 2 waiting rooms for Customers.to relax & then some. Mike Vand (Sales) & Carl Tofflemire (General Manager) are outstanding and they truly want to help you find the right car. This was a no pressure experience and they provided a superior education on all models along with amazing customer service! Glad to know there is still one dealership left that makes me excited when I arrive versus the normal experience of making me cringe! Thank you Carl and Mike for all of your help!!! You guys are the best!!!! Porsche South Bay	33.8987638, -118.3715785.